Yamazaki Mazak has revealed its latest alternative CNC option for those manufacturers who have standardised on Siemens control. 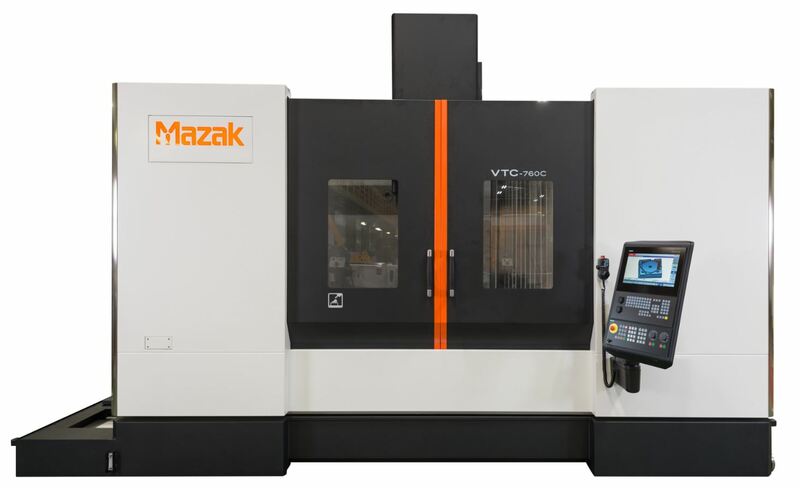 Mazak’s latest machine to feature a Siemens CNC is its VTC-760C vertical travelling column machining centre, which is controlled by the new Siemens 828D control. The travelling column design of the VTC-760C provides optimum machining flexibility, including dual load configuration. The machine benefits from a compact footprint, along with a long X-axis stroke and large 2,300mm fixed table that provides excellent stability. Most importantly, the VTC-760C is a highly productive machine, powered by a 12,000rpm spindle and rapid traverse rates of 42m/min in the X-, Y- and Z-axes. The inclusion of the new Siemens control represents an entry into the commodity market, as the 828D control panel is a mid-range CNC for turning and milling machine tools. The 15.6” touch screen display runs on SINUMERIK Operate 4.7 and features a built-in QWERTY keyboard with USB and ethernet access. The CNC benefits from a number of intelligent operations, including ShopMill, which automatically compiles machining step programs to enable multiple clamping with fewer tool changes. In addition, a built-in onboard maintenance planner is included, which facilitates easy integration of regular maintenance schedules into production. The control communicates in over 20 languages and can also be programmed to send SMS messages to operators, machine setters, or service and maintenance technicians to provide alerts for tool life, availability of blanks and upcoming maintenance schedules. 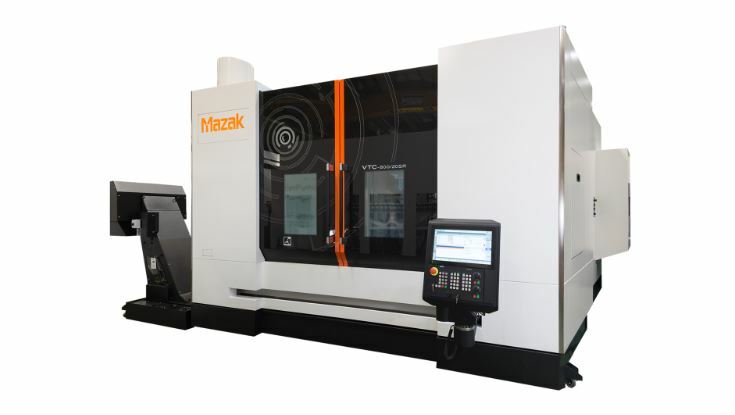 The machine is ideal for those customers looking to integrate Mazak’s advanced machining solutions into their factory or machine cell, but who may already have standardised on a Siemens operating system. Crucially, as the control is able to provide automatic feedback on a range of machine diagnostics, which can lead to reduced downtime and improved production efficiency; it also ensures that manufacturers adopting Industry 4.0 design principals can still harness the precision cutting and speed of operation synonymous with Mazak. The VTC-800/20SR is equipped with an 18,000rpm main spindle and delivers rapid traverse rates of 50m/min in the X-,Y- and Z-axes. It also comes equipped with an automatic tool changer with 30 tools as standard. Mazak has offered the 840D sl control since 2013, however the VTC-800/20SR is the first Mazak machine tool to feature the new style of control panel, which comprises of a 19” touch screen that can be tilted and rotated to offer improved operator ergonomics. As with the 828D, the 840D sl runs on SINUMERIK Operate 4.7 and is also able to provide users with a number of far-reaching connectivity and diagnostic functions.